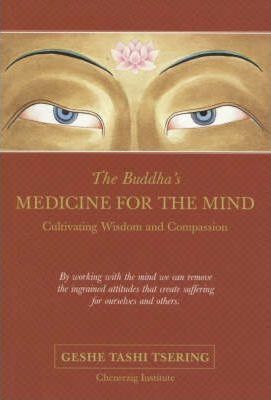 The Buddha's teachings are the medicine we need to find true happiness for ourselves and others. These teachings by the resident teacher at Chenrezig Institute in Australia shows us that the path to freedom lies in conquering the real enemies - the disturbing emotions. By working with the mind we can remove the ingrained attitudes that create suffering for ourselves and others. Through the Buddha's teachings we study the mind to understand what disturbs and what nourishes the mind, and using the medicine of wisdom and compassion we can master our own mind and become a light unto ourselves. The first part of this book discusses the mind and its potential. Part Two introduces and explains the three principal aspects of the path - renunciation, the mind of enlightenment, and the correct view of reality. These are the heart of the Buddha's teaching. This timeless commentary on the essence of Buddhism shows us how to lead more meaningful lives, so that we can help ourselves and others achieve true happiness. Born in eastern Tibet in 1937, Geshe Tashi Tsering became a monk at the age of seven and at seventeen went to study at Sera Je Monastry in Lhasa. After fleeing Tibet in 1959, he continued his monastic education in exile in India, becoming a Lharampa Geshe (Professor of Buddhist theology) in 1984.